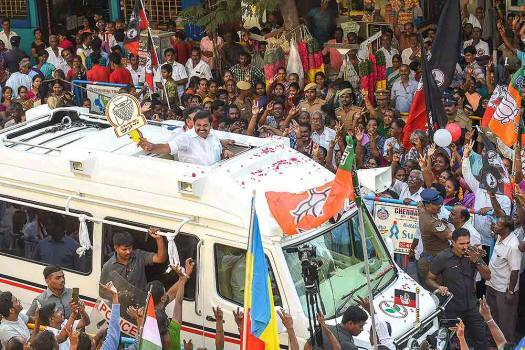 Tamil Nadu Chief Minister K Palaniswami at an election campaign for alliance party of DMDK candidate R Mohanraj at the North Chennai constituency, in Chennai. 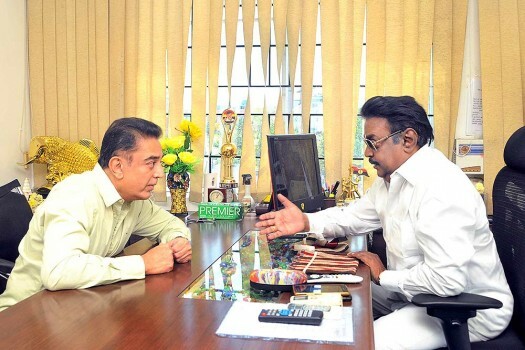 Tamil actor Kamal Haasan during a meeting with DMDK Chief and actor Vijaykant at his party office in Chennai. 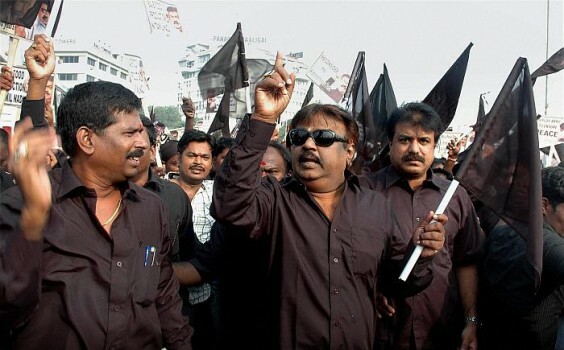 DMDK President Vijayakanth and his supporters carrying black flags during a protest against the visit of Prime Minister Manmohan Singh to Tamil Nadu, in Chennai. 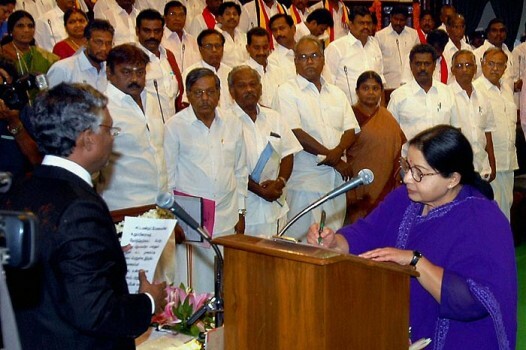 Tamil Nadu Chief Minister J Jayalalithaa signs after taking oath as MLA at the Tamil Nadu Assembly. 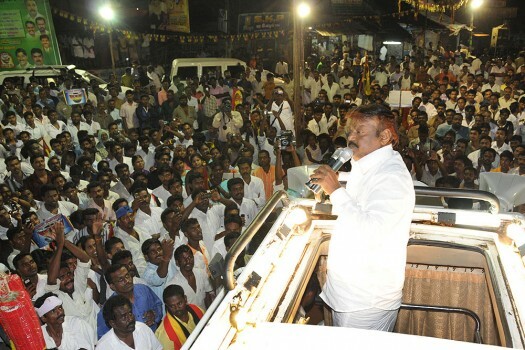 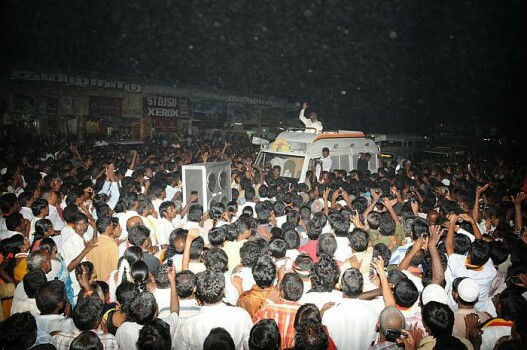 DMDK president Vijayakanth is also seen in the picture. 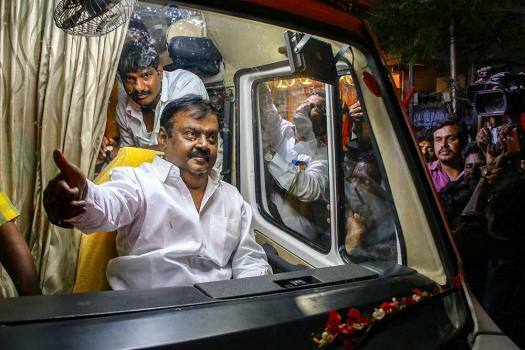 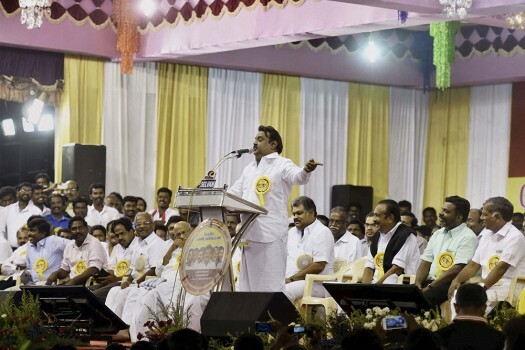 Tamil Nadu's ruling AIADMK entered in an electoral pact with actor-politician Vijayakanth's DMDK, which contest four Lok Sabha constituencies in the state, Deputy Chief Minister and party Coordinator O. Panneerselvam said on Sunday.